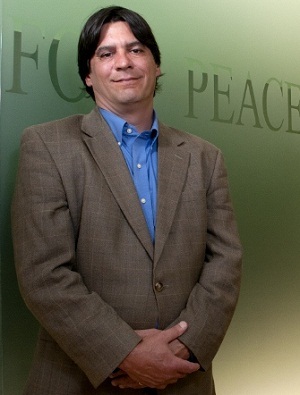 James Hawdon is a Professor of Sociology and Director of the Center for Peace Studies and Violence Prevention at Virginia Tech. Dr. Hawdon received his PhD in sociology from the University of Virginia and was previously a faculty member at Clemson University. Dr. Hawdon's research centers on issues of community, including how communities try to control crime and respond to critical incidents. His most recent research involves a cross-national comparison of the relationship between mass tragedies and community solidarity. He is also involved in research projects concerning online hate groups. He is also collaborating on a study of the causes and consequences of group-perpetuated violence. Dr. Hawdon has published extensively in the in the areas of crime, deviance, the sociology of drugs, the sociology of disasters, and the sociology of policing. His recent Encyclopedia of Drugs and Drug Policy, which is co-edited with Mark Klieman, has received critical acclaim, and his book, Drug and Alcohol Use as Functions of Social Structure, won the Adele Mellen Prize for Contributions to Scholarship.